How much energy is your Wi-Fi router using? Think about the appliances you have in your home and how they could be impacting your energy rates. 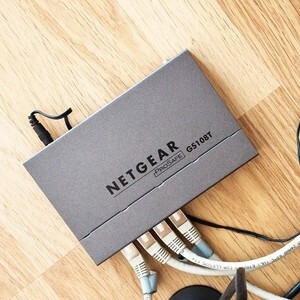 There aren't many that need to be switched on all the time – but when it comes to your Wi-Fi router, it’s working (and using energy) all the time. Companies need to take closer look at the efficiency of their office equipment, especially if they are going to minimise the threat of rising electricity prices. How can I choose an energy efficient commercial space? Choosing business premises involves a range of big decisions, including how much it is likely to cost to heat, cool and operate on a daily basis. Regardless of whether you work in an office or out in the field, electricity is almost always necessary. Here are a few ways to reduce your energy usage. Have you ever found yourself looking at the plethora of solar panels dotted throughout rooftops in Australia, and considered doing the same? Should you consider an electric car? The topic of the electric vehicle in Australia has become increasingly prevalent over recent years, even as electricity prices have soared. Deregulation encourages more electricity suppliers to operate in the market, leading to a raised level of competition, productivity and efficiency. How do you save energy through your windows? Modern windows are now up to four times more effective at insulating from the heat and cold than their conventional counterparts. The outdoors is ingrained in Australia. With regard to the high electricity prices, here are some tips on reducing your energy consumption outside. Want better pool power efficiency? Swimming pools are peppered throughout Australia's sunny and warm climate. As such, here are some tips on pool power efficiency.